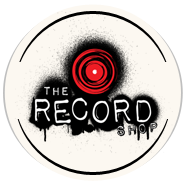 It’s not a service that you will find at every Nashville recording studio, but if you are interested in adding programming to your project, The Record Shop has you covered. If you are looking to produce an entire track, or just add a few supplemental elements to your existing recording, our diverse production team can help you find the sound that you are looking for. We have extensive experience in a wide range of genres. We do it all: from Pop to EDM, and Hip-Hop to Country. In addition to artist projects, we also offer programming for jingles, film/tv, and sound design. Our team utilizes a combination of the latest virtual instruments and an enormous collection of classic analog gear to create current and cutting edge productions. In addition to The Record Shop studio facilities, we also offer an off-site production facility owned by Peter Keys. Peter is a one of kind keyboard aficionado whose work has ranged from Lynyrd Skynyrd to George Clinton. Peter’s work can be hear on countless records as well as jingles and film/tv placements. His facility is a programming paradise, conveniently located just minutes from The Record Shop’s Nashville recording studio. Ready to add a modern edge to your record? Drop us a line here to learn more about our programming services!